In the world of online gaming, where we rely on strangers to cover our backs, heal us up, support our attacks, and not steal our loot, trust can be a rare commodity. When a few anonymous individuals can foment hostility amongst compatriots, it can be difficult to have faith in others. Yet success in many multiplayer games hinges on mutual feelings of trust between allies. To build reciprocal confidence is to build a great gaming experience - trust me. Trust in multiplayer online games comes in many forms, some of which I want to exclude from this discussion. For example, players often engage with others trusting they will not use "game breaking" exploits. That subject I address more directly with an older piece on the Prisoner's Dilemma. I'll also ignore personal self-confidence, which itself is an interesting sensation games frequently attempt to evoke. There is also the issue of trusting game design - believing the developers are not out to get you with a fundamentally flawed and unfair game, something transparency can ammend. Specifically, I want to to discuss trust between partners, or at least potential partners. Last week, Scott suggested "three hypothetical scenarios that would explore the darker side of human interaction" in Left 4 Dead. These alternate modes of zombie survival would create distrust amongst team members, exploiting the need for cooperation versus secondary threats. Although the post-apocalyptic franchise asks far less of its players, the game still creates mutual dependence and a feeling of trust between players. 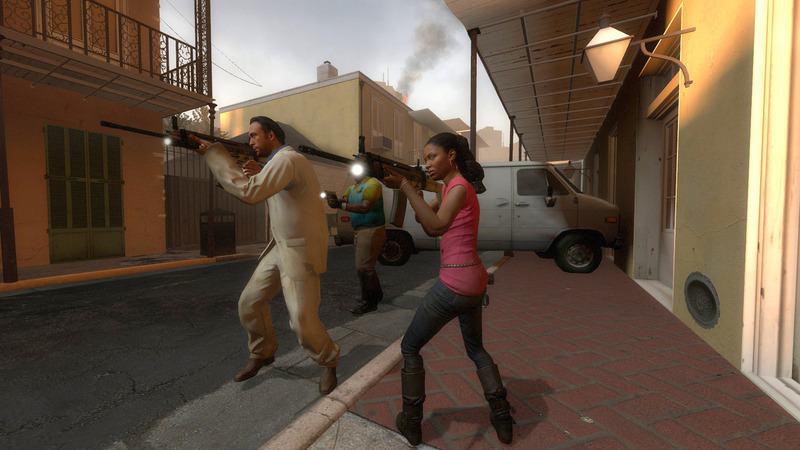 Left 4 Dead and its sequel engender mutual confidence between players by necessity, above and beyond similarly team-based games. Survival demands team cohesion, from picking up a downed pal off the ground to battling an enraged tank together. Equally important is how the game reminds players to have confidence in their comrades. When one player blasts an attacking zombie away about to hit teammate, their teammate will be notified that they have a savior. L4D also keeps track of health packs shared and pills freely given, awarding philanthropy. When a room is being defensively held against an onslaught of zombies, you feel much more capable knowing someone is covering your flank, ready to bandage you up if necessary. The feeling is exhilarating. The importance here is that trust is somewhat quantifiable. As in real life, we build credit with others over long periods of time, time we do not have when playing random competitive games with strangers. During the hectic frenzy of gaming, trust is built through trial by fire. Having a measurable and easily understandable moment of team-building, one which proves the capability and generosity of your compatriots, is invaluable to evoking a sense of trust. In team-based competitive games, it can become troublesome when players have little faith in the abilities of others. 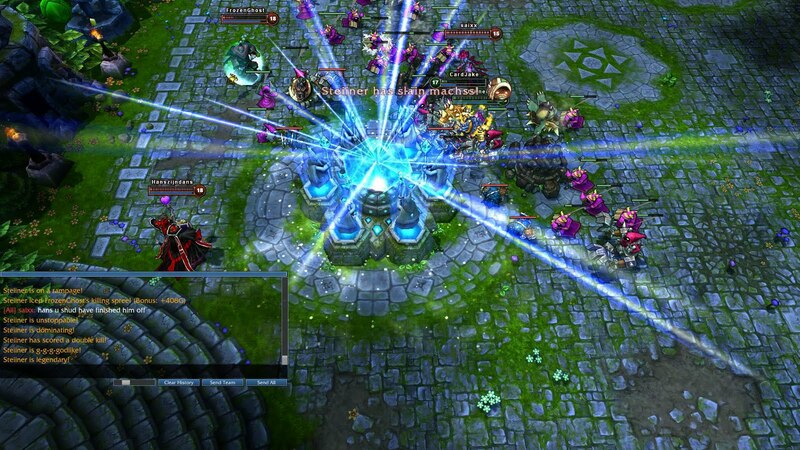 In a game like League of Legends, players frequently blame their own team mates for the group's failure. One death early in a match, and an ally might not trust you to carry your own weight. These dynamics change how games are played. Distrust in LoL can foster redundancy (players start usurping each others roles) and poor decision making (plunging fatalistically into battle). Alternatively, warranted distrust in the abilities of others demands working around shortcomings. In order to build trust over a very short period of time, there needs to be a measurable way to determine someone's abilities. Persistent player identities with their own leveling system are not enough. 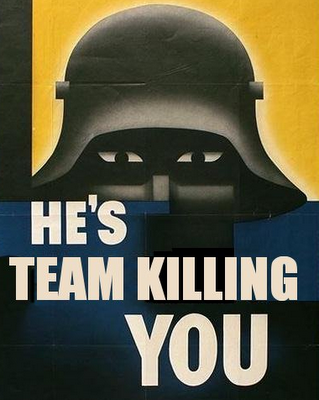 Support classes, for example, would benefit from additional metrics besides kills and assists to judge their worth. Players should be well informed about the roles and abilities other players have access to. This also means creating distinct and recognizable abilities. Knowing how your allies are contributing to a team battle with a quick glance at the screen goes a long way for building trust. Where treachery is a potentially fruitful option however, building trust can be even harder. 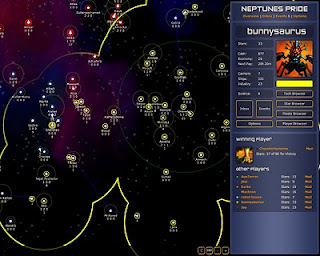 Neptune's Pride, a browser-based sci-take mix of Risk and Diplomacy, relies on trust and intrigue. Everyone playing should expect to have alliances broken. Therefore, building trust between players is a delicate matter. In this game, as in real life, communication is important, but not exclusively so. Words must match action, even if this means telling someone you will invade their territory. If a time comes where the aggressor pleas for help, a record of honesty is necessary to rebuild trust between players. While Neptune's Pride does not force honesty, it does provide an easy venue for communication (a trust building requirement) and numerous easy-to-understand measurements of trust (from trading technology to knowing monitoring player progress). 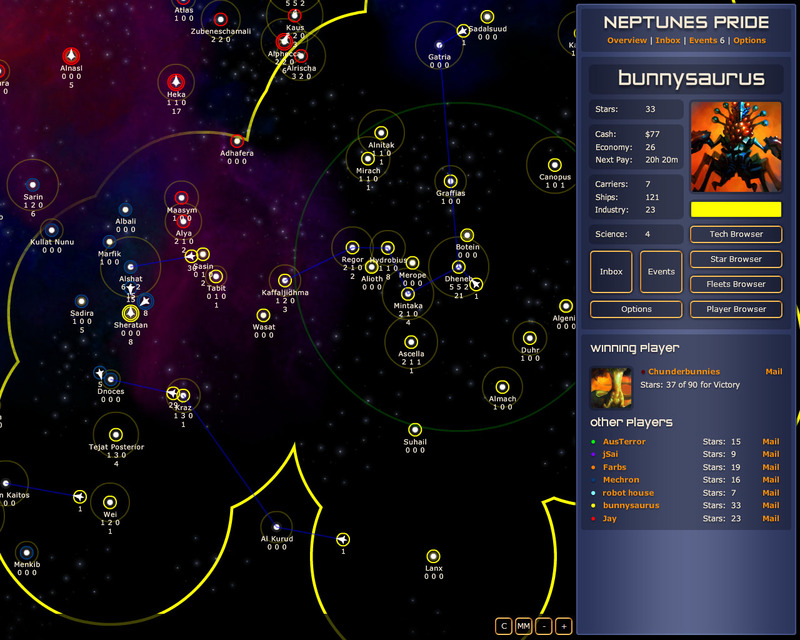 Team cohesion, the feeling that you can rely on others, dramatically improves multiplayer gaming experiences. Ideally, players enter online matches with faith in others, acknowledging the lack of authority figures in online spaces. Unfortunately many of us have become bitter, our online experiences spoiled by treachery, ignorance, or incompetence. Therefore we must put our gaming relationships to the test. The more frequent and transparent the trial is the better. Even frequent low-risk trials will improve how quickly we coalesce into a functioning team (Yea, even those office team-building exercises could work). The more quantifiable measurements of trust and information about player behavior, the better we can assess ourselves in relation to our gaming cohorts. I'd also suggest player-controlled consequences for broken trust. Being able to /kick a player in a WoW dungeon crawl gone awry is one such mechanic, as are the "black spots" in Puzzle Pirates, to a degree. Visible reputation might be another good one, like a visual title in an MMO "Urbolg the Untrustworthy" or "trust rating" in matchmaking UI. If broken trust is purely in the social sphere, it can unduly affect gameplay. Maybe that's part of the design, but it needs to be a conscious choice, understanding that internet anonymity enhances jerkiness. I've certainly had some great multiplayer gaming in my day, but the best times are with those people whom I already trust, like StarCraft with my brother in law, or Guild Wars with my friend from high school. I just don't get that level of trust with people I find anonymously on the internet in-game. I get a little more trust if I know people from blogs or something, but again, that's not in-game. I was looking at Kane & Lynch reviews today and it sounds like they have a pretty brilliant multiplayer idea, even if the game is full of flaws. It reminded me of this article, and the one about zombie games never capturing the downfall of humanity correctly. In Kane & Lynch's multiplayer, you are split into teams of cops & robbers. The robbers have to pull off some sort of heist to get money, and the cops have to stop them. If you are a robber though, you can turn against your teammates and try to nab all the loot for yourself. Only now, in addition to having all of the cops after you, you have all of your angry partners in crime after you too. If you don't betray your crook teammates, then you all will have to split the money evenly. So you have to decide if you value their help more, or if you value the extra money more. It's a nice way of creating a very tenuous trust between you and your teammates in a multiplayer setting.